CBS’ best efforts couldn’t elevate a dull and drab game. You can have all of the best technology at your hands, but when you have a bad game, there’s not much you can do. With the lowest-scoring Super Bowl ever, CBS did all it could to elevate the game. The game got to the point where Jim Nantz and Tony Romo were cheering the longest punt in Super Bowl history (65 yards). 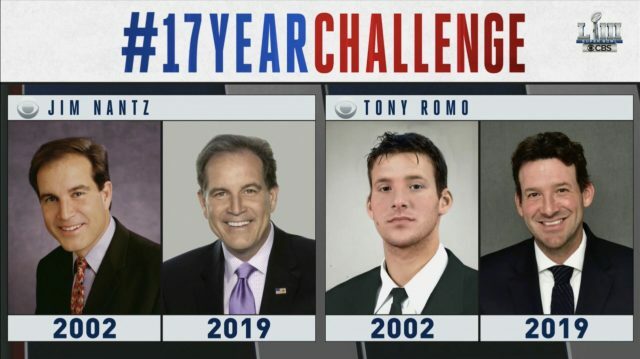 For their part, Nantz and Romo were on top of trends. 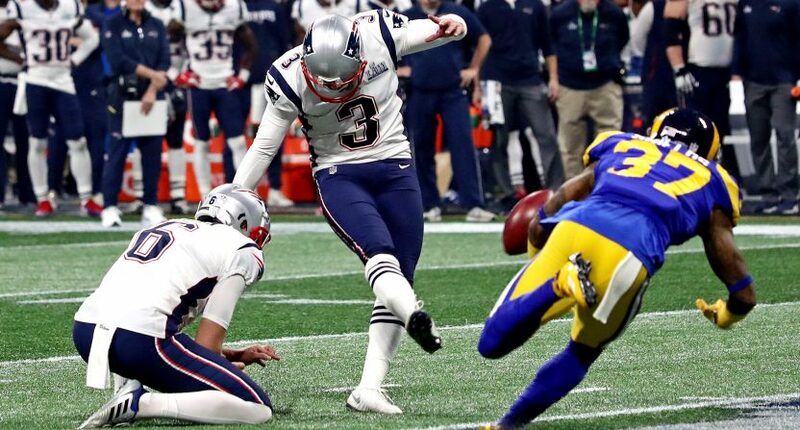 However, unlike the AFC Championship where Romo could predict upcoming plays, he had to recap the number of punts made by the Rams until its lone scoring drive that led to a field goal in the third quarter. CBS did have a dreaded glitch award in the first quarter when Tony Romo’s mic went out after wondering if Nantz had jinxed Patriots kicker Stephen Gostkowski. That was the only real technical issue of the game for the Tiffany Network. Other than that, CBS did have a clean game. Due to the flow of the game, sideline reporters Tracy Wolfson and Evan Washburn were used to a minimum. We only heard from them five times until the end when Wolfson had an issue trying to corral quarterback Tom Brady for an interview, twice saying, “I have him!” into her mic. Normally heard at the beginning of the game, Wolfson wasn’t heard until mid-first quarter when she made a report about the usage of Rams running back Todd Gurley at a time when he wasn’t being used. Unlike its most recent Big Game efforts (XLVII and 50) in which the network fell short in its production and reporting, CBS did get the job done on Sunday. However, hampered by a game with minimal scoring, its pylon cam had to be used to show punts being downed at the goal line. Rules analyst Gene Steratore was used minimally and not for any rules explanations until the second half. And we did not get to hear from kicking analyst Jay Feely, just as in Super Bowl 50 when he was not utilized there as well. — CBS’ open utilizing Peyton Manning and John Malkovich was well done. — Romo’s enthusiasm was maintained throughout the game, but during the Super Bowl, there were little to no opportunities for him to be Romodamus. — Jim Nantz was Jim Nantz. He was solid on his play-by-play and in his first opportunity to call the Patriots in the Big Game in his long career, he was up to the task. — In the first half, CBS aired a 17-year comparison of pictures of the main characters of the game. CBS also had an uneven moment during halftime when NFL Today analysts Nate Burleson, Bill Cowher, Boomer Esiason and Phil Simms had to shoehorn their analysis of the first half before a break and Maroon 5’s halftime performance. Unlike previous efforts, CBS chose not to unveil a new graphics package for this Super Bowl, electing to keep its current scorebug. During its voluminous four-hour pregame, CBS did try to display the flavor of host city Atlanta by showcasing its music scene and civil rights history. A discussion on the NFL’s progress with social justice initiatives with pregame host James Brown, analyst Amy Trask, NFL Players Association head Troy Vincent and New Orleans Saints tight end Ben Watson went well and mentioned Colin Kaepernick, but didn’t seek to discover why Kaepernick is still being blackballed by the NFL. But overall, CBS’ production of Super Bowl LIII was much improved over Super Bowl 50 in Santa Clara. And it was much better than XLVII in New Orleans when the network lost power during the infamous Superdome blackout and was caught without a legitimate sideline reporter. Our Awful Announcing grade for this year’s Super Bowl is a high B+. The game itself was a D, but that was beyond CBS’ control.